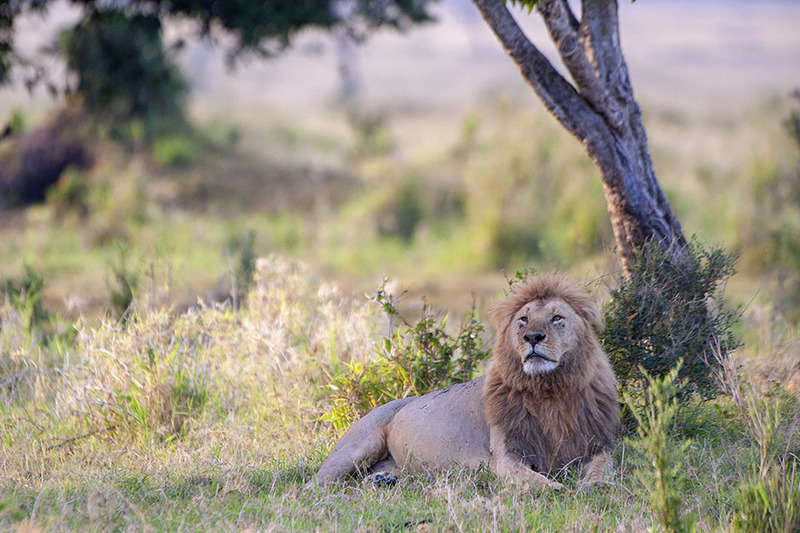 We started our morning game drive in Maasai Mara with the amazing sighting of the African Elephant, which accidentally came our way when we went looking for the Leopard, that we had sighted the previous evening. 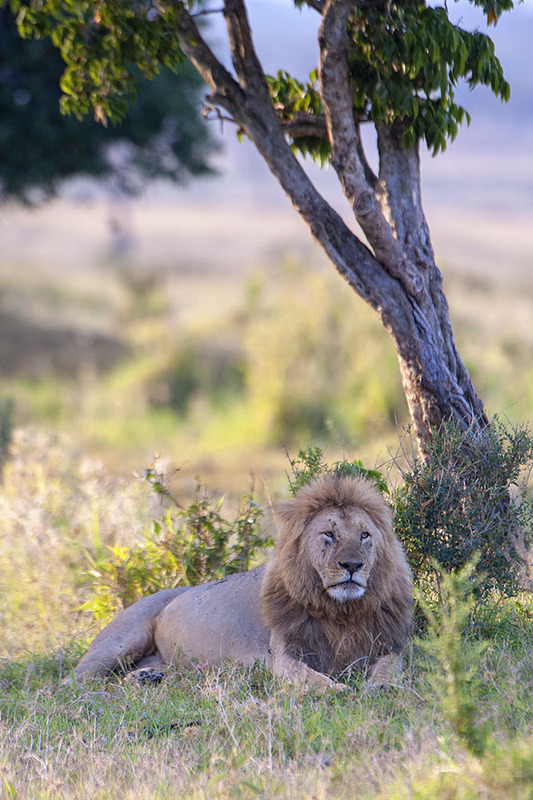 We then headed towards the area where we had seen the African Lion brothers feasting on the Cape Buffalo carcass. 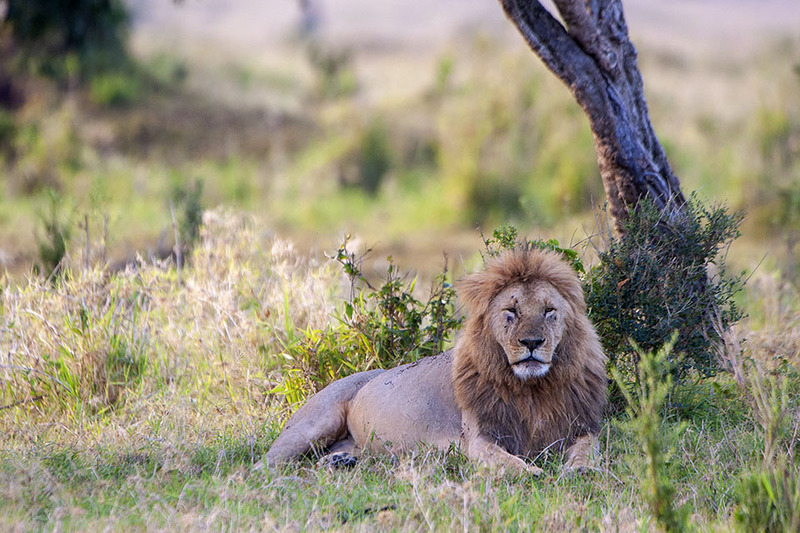 When we got there, we saw that there was just one Lion resting. On closer examination, we realised he was guarding the left overs of the carcass. 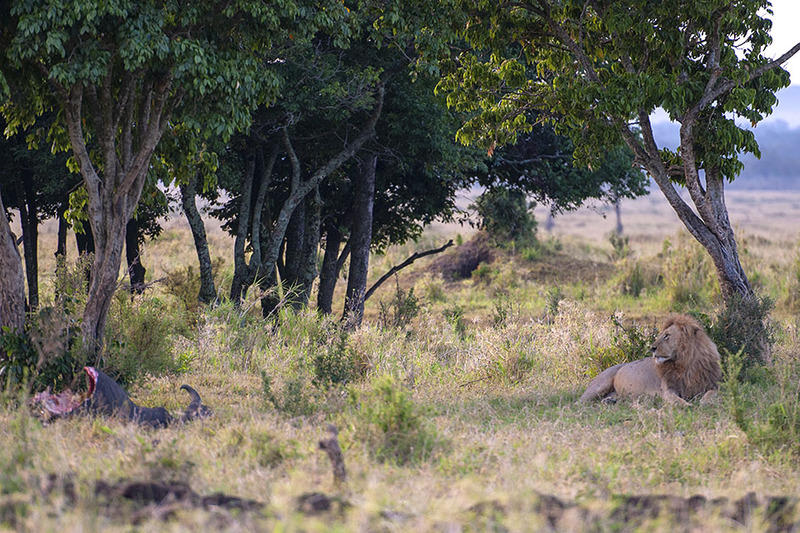 After a few minutes, the African Lion let his guard down and hit the snooze button. 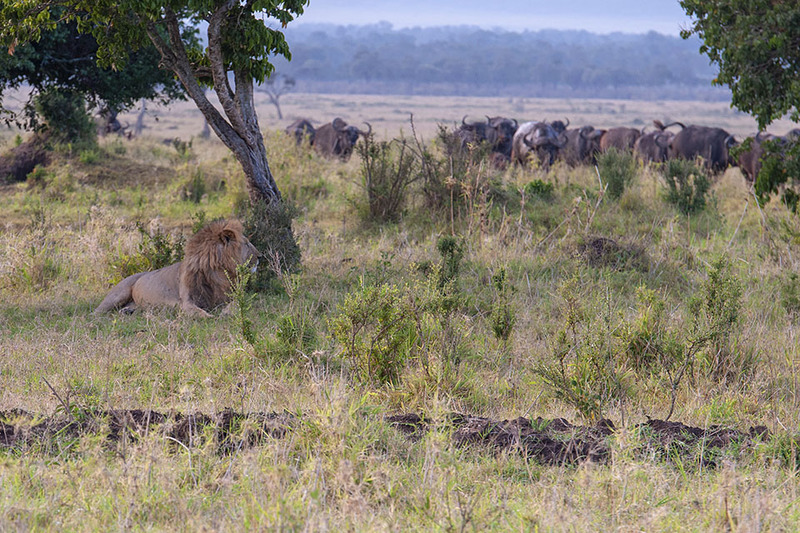 We also noticed that a herd of Cape Buffaloes were headed in the direction of the sleeping Lion. 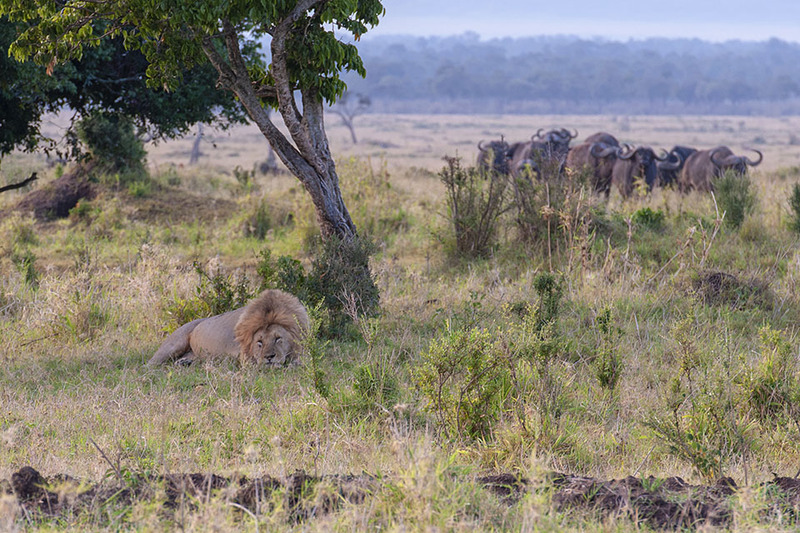 The Lion woke up just in time to realise that the buffaloes had got a scent of him or his carcass and were zeroing in on him. The scene that followed was quite interesting and we will share that in a post soon.